Olney, MD – Fair Hill announces a new retail tenant, The Look Boutique, expected to open in August. This independent shop, owned and operated by Donna Johnson, will offer moderate to upscale clothing and accessories for women, located at 18119 Town Center Drive, Olney, Maryland 20832, in the Fair Hill shopping center. The Look Boutique is a big empty shell right now, but Johnson says design and build-out is under way for her 1600 square foot shop. The Look Boutique will offer misses apparel for career, occasions, and every day wear. “We will carry a unique and unusual assortment of high quality clothing not found in the typical department store,” says Johnson. “Our goal is to deliver a distinctive shopping experience for the professional woman seeking individual style, exceptional quality, value, convenience, and unparalleled customer service. We will provide a total fashion look for our customers.” The Look Boutique will focus on full customer service, Johnson says, because it is rare in today’s retail experience. In addition, The Look Boutique will be teaming up with the Merle Norman Cosmetic and Gifts Studio, also located in Olney, to offer complete makeovers of wardrobe and make-up. Johnson is also collaborating with Paula Kahla, who owned the popular, former fashion shop in Olney, Paula’s Boutique. Johnson is very familiar with the community – she grew up in Silver Spring, previously lived and worked in Olney, and currently lives in nearby Clarksville. Her new endeavor, The Look Boutique, marks the fulfillment of a goal, and a career change. This July she is leaving her 25-year career in Montgomery and Howard County public schools where she taught at the elementary, middle, and high school levels, most recently as a 7th grade math teacher. 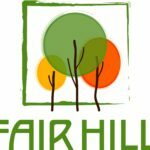 Also, starting soon at Fair Hill: Live music outdoors on the plaza from June through September with the Fair Hill Summer Concert Series on Thursday evenings, and the Fair Hill Kids children’s shows on Tuesday mornings. Details are listed at www.fairhillshops.com. Fair Hill is a popular community destination with a summer entertainment series and a cooling splash fountain next to open tables in the square. Owned and operated by the Carl M. Freeman Companies and formerly known as Olney Town Center, Fair Hill was renovated and renamed with a grand opening celebration in April 2011. Fair Hill is located at the intersection of Route 108 and Spartan Road just east of Georgia Avenue, at 18169 Town Center Drive, Olney, Maryland 20832. For more information contact info@fairhillshops.com or call 240-453-3000, follow Fair Hill on Facebook and Twitter, and visit www.fairhillshops.com.